It’s so ironic to hear people say, “I’m going through a bad divorce.” Be honest: are there really any good divorces? Divorce usually isn’t easy, and it’s rarely a pleasant experience. A divorce is one of the most stressful changes in life that people face. Divorce is stressful and complicated, both practically and emotionally. It involves everything from finances and legal fees to your childrens’ emotional well-being. There’s usually heartbreak and fears of facing singleness again. 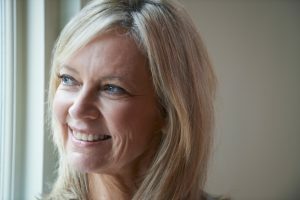 TwoMomSinaBlog.com is an online forum where you’re free to come for resources and information, to vent and feel supported, to gain perspective from professionals and from other people who’ve gone through divorces, and hopefully to laugh and to feel less alone and more connected. Articles are geared towards a wide spectrum of readers, so TwoMomSinaBlog.com has something for you. Whether you’re thinking about separating, are newly separated, are going through the process of a divorce, are a single parent or are co-parenting, are facing the dating and relationship scene, are pondering another marriage, or are pursuing health and wellness after age 40, there’s something here for you. You’ll feel like you’re talking with a friend at your favorite local coffee shop or brew pub. I’ve always found that writing has always helped me work through my personal problems. That’s probably why I studied journalism and became a news reporter. So as I worked through the frustration and pain I was feeling because of my own divorce, I started to write articles about divorce, as well as relationships and dating. I soon realized how much those articles were helping people, as so many of them could relate. That’s when TwoMomSinaBlog.com was born. The site now helps readers worldwide. It includes not only my writing, but articles submitted by professionals specializing in general life coaching, health and wellness coaching, dating coaching and divorce coaching. The guest contributors you’ll find here at TwoMomSinaBlog.com are the best ones out there! TwoMomSinaBlog.com isn’t just another divorce blog. It’s a helpful, honest and trustworthy forum where readers can get support, advice, inspiration, and more than an ocassional laugh! I’ll leave you with an encouraging memory from my own divorce. When the process was just beginning and I felt the worse about myself than I ever had before, my then 5-year-old son walked into my bedroom just when I was starting to put on my makeup. He looked at my “bare” face and asked, “Mommy, why do you paint your face? You’re prettier without that.” That’s just what I needed to hear. He boosted my self-esteem and shifted my focus off of my negative body image. That’s what we strive to do here at TwoMomSinaBlog.com. We always choose encouragement! I hope you find TwoMomSinaBlog.com enjoyable. If you have questions you want to ask or stories you want like to share, please get in touch! Know that when I give advice on my site, I will occasionally post the questions that I received. But I don’t ever use people’s real names, and always change enough details to guarantee anonymity. Are you back to being single? If so, your top priority is to work on finding personal happiness. We hope that TwoMomSinaBlog.com can help you. But the most significant factor regarding that happiness is the power that lies within you. It’s right there! You can’t control many of things you face in life. But there are enough things that you can control, to help you live a happy life. Being divorced and happy requires honesty, self-awareness, self-love, good life choices, patience, authenticity, and the confidence to make your life what you really want it to be. The ability to laugh a lot, to live in the moment, and to give and receive lovehas a huge effect on your happiness. Best wishes to you for wellness, health and happiness in your life journey!